Is there more to life than this? Why am I here? Those are some of the many questions people are asking themselves everyday. Here at Cornerstone Nazarene we believe church should be a place to ask those questions in a relaxed and safe environment. 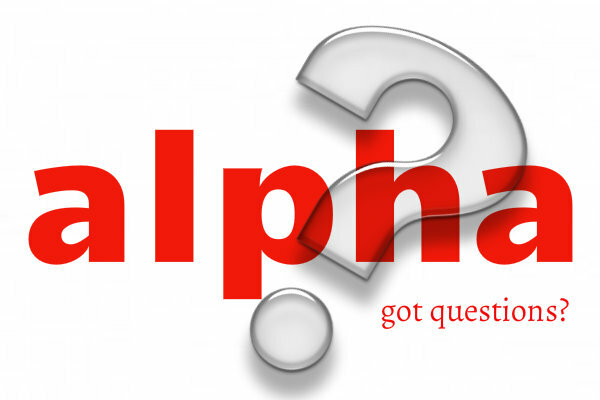 One of the ways in which we cultivate these questions is by offering Alpha twice a year. This is a 10 week class consisting of food, fellowship, teaching and a time of discussion where those questions can be asked. Who is Alpha for? It is for everyone. For those who have been in church all their lives to those who have never stepped foot in a church. For those who have a million questions and those who have one question. For those who are members of a church to those who are not. Alpha will be a place that will grow you as a person and help you cultivate meaningful relationships with others. Please click and watch the videos and join us on our next Alpha Course by signing up at the bottom of the page! Message us to join ALPHA! I would like to be a part of the next ALPHA!